Freehaus is an RIBA chartered practice comprised of a multi-disciplinary team of Architects and Designers. Founded in 2012 by Jonathan Hagos and Tom Bell, Freehaus aims to approach challenges differently whilst having the freedom to explore design with a commitment to quality, innovation and collaboration. Founded by Jonathan Hagos and Tom Bell in 2012, FREEHAUS is an RIBA chartered practice comprised of a multi-disciplinary team of Architects and Designers. From the design of interior spaces and buildings to bespoke door handles and furniture, FREEHAUS demonstrates the impact good design has on the way we live and interact with one another, creating spaces grounded and engaged in context. 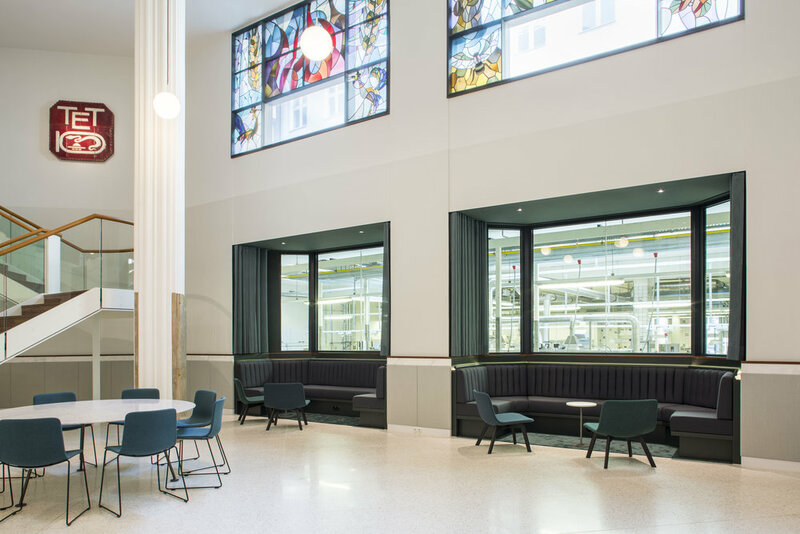 FREEHAUS had just completed the refurbishment of Hanover’s historic headquarters of internationally renowned German biscuit manufacturer, Bahlsen and asked us to undertake an international media campaign to introduce the project to a wider audience. Selected results included an exclusive in November 18 issue of Wallpaper*, Trendland, and Azure amongst others.